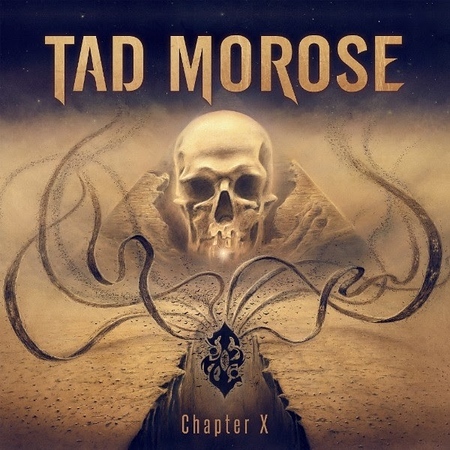 “Chapter X” is the appropriately named tenth studio release from Swedish band Tad Morose. The album was released on 15th June by GMR Music Group. The band formed in Bolinas back in 1991 and their early releases were generally labelled as progressive rock, but they now tend to get categorised as power or heavy metal. Tad Morose have moved to a new label for their first release since 2015. I included the track “Apocalypse” on the Friday NI Rocks Show on 22nd June. Tad Morose formed in 1991 but only one of the current line-up remains from that period as there have quite a few changes over the years, including five different vocalists. The band released their first album in 1993 and within ten years had released a further five studio albums, an EP and a compilation album. There was then a ten year gap without a release, partly due to several changes in vocalist. “Revenant” was then released in 2013, followed by “St. Demonius” in 2015. The sole remaining founding member of Tad Morose is guitarist Christer Krunt Andersson, although drummer Peter Morén has been part of the band since 1994. Singer Ronny Hemlin joined the band in 2008, followed by guitarist Kenneth Jonsson in 2012. The most recent arrival is bass player Johan Löfgren who only joined the band this year.